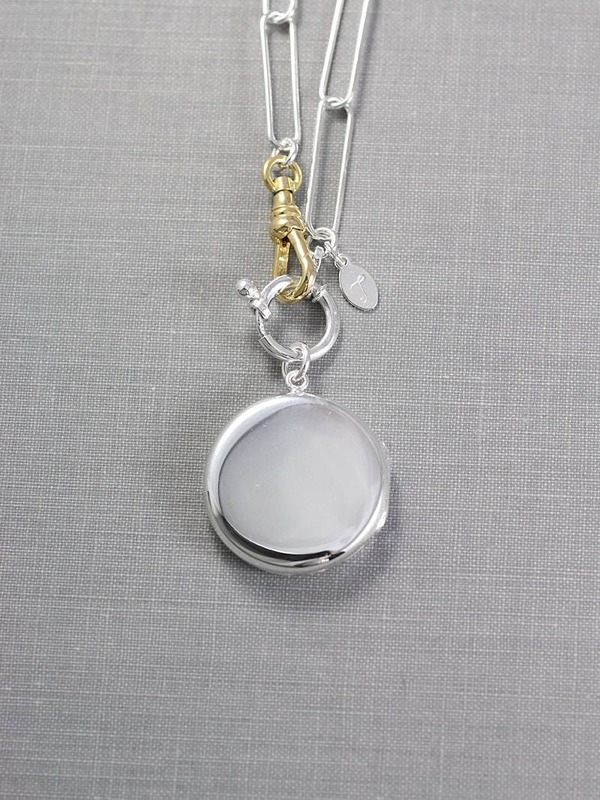 A plain round sterling silver locket is polished smooth on both sides and opens to reveal two places ready to hold your beloved photographs. 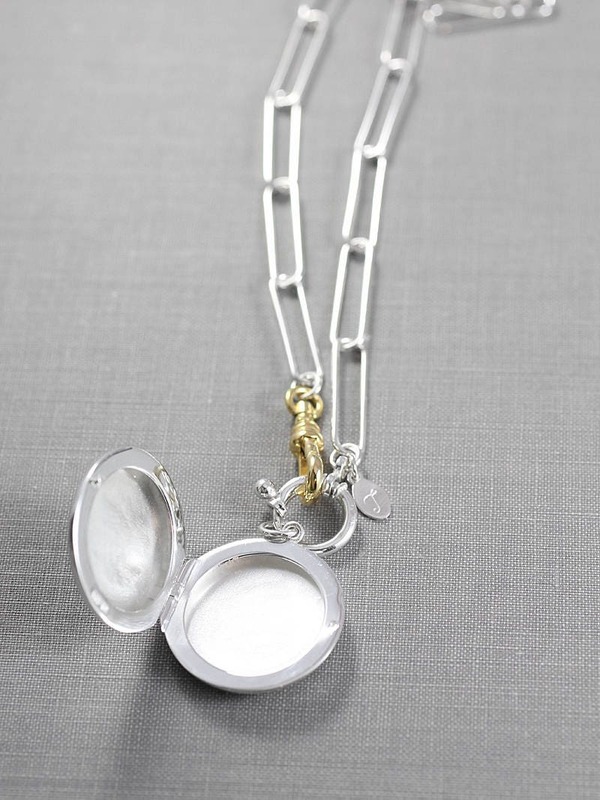 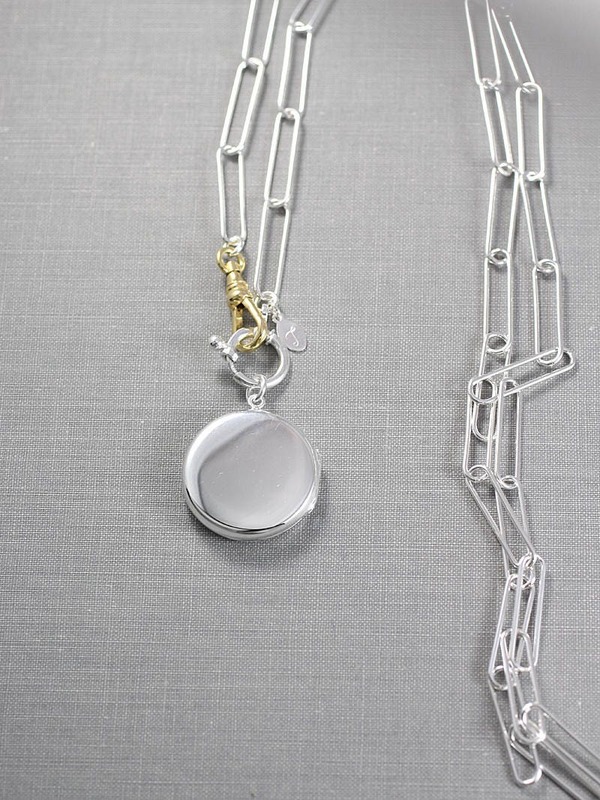 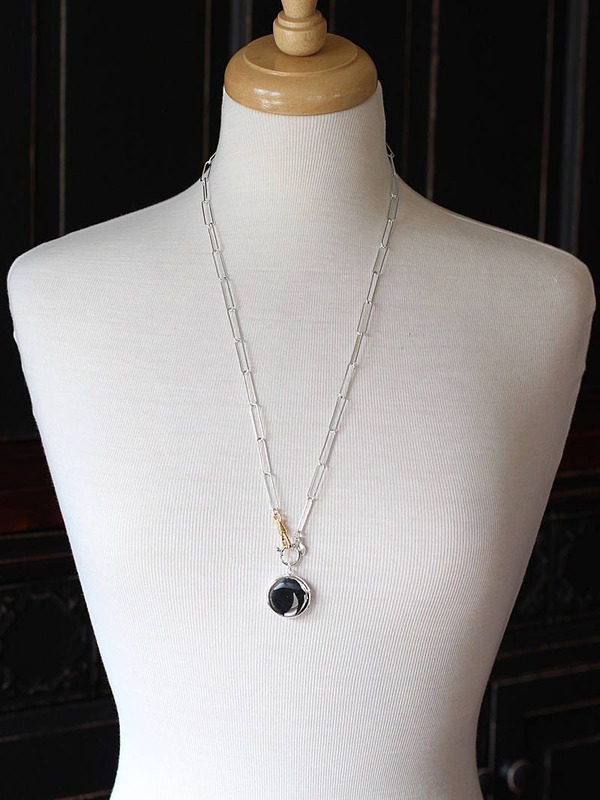 The locket is set on a unique large oval link chain fitted with a 12k gold filled swivel clasp and sterling silver oversized ring clasp. 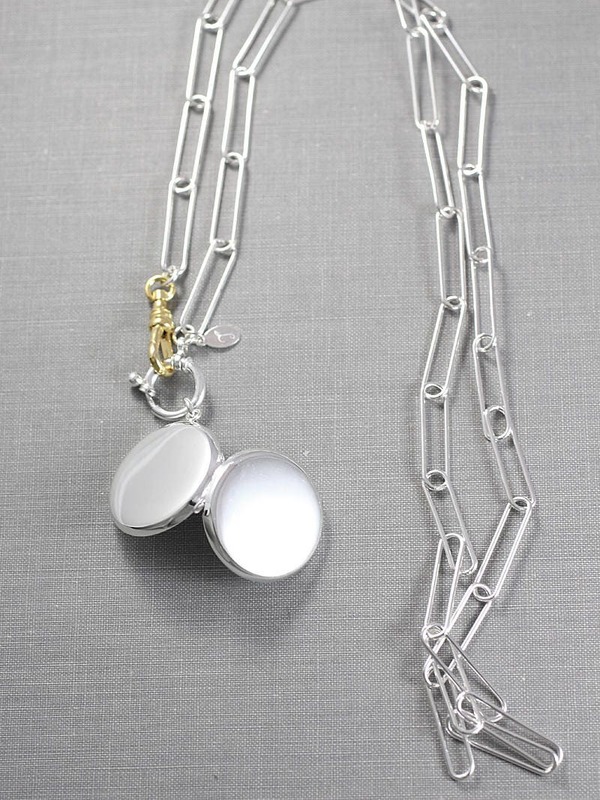 The clasp combination was popular at the turn of the 20th century as watch fobs chains adding a historic aspect to a modern design. 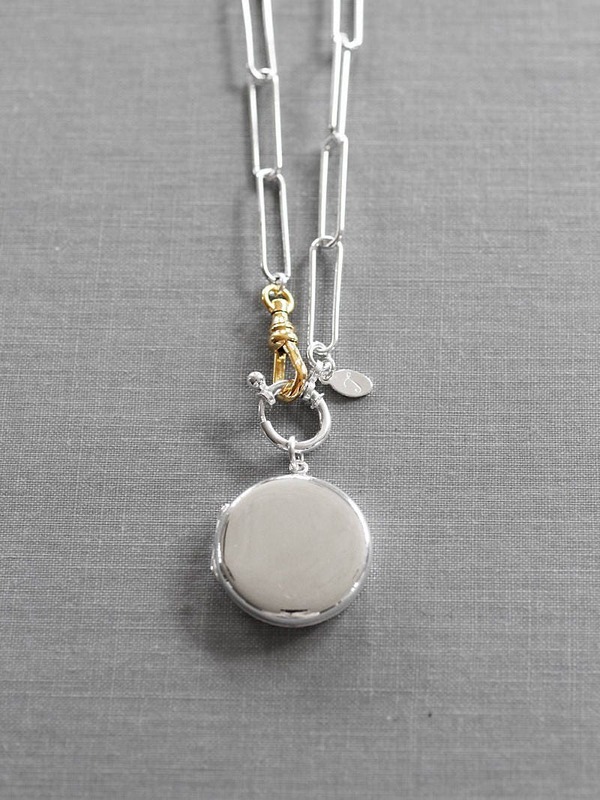 This is, also, a beautiful necklace for layering.